Michelle Alexander’s book, The New Jim Crow, is a call-to-action for our nation to draw attention to the role of the criminal justice system in perpetuating and developing a racial hierarchy in the US. Many applaud Alexander for her work but refuse to validate her label of mass incarceration as a racial caste system. Yet it is difficult to deny the statistics and evidence that Alexander uses to support her argument. As I read through her work, I was captivated by the intensity and conviction in Alexander’s writing as she highlighted the racialized social control, the creation of crime in the prison system and the birth of an “underclass” of people who become so ostracized from society that they are forever exiled to a life of inferiority and never in reach of the “ladder opportunity.” Once again, the “American Dream” proves unattainable for a large part of our country. 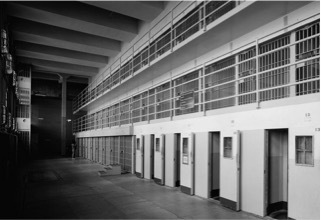 Alexander compares the segregation that spurned the civil-rights movement as a phenomenon that has been replaced with crime, especially the drug offenses that have led to the explosion of incarceration rates in the US. The “drug war” that people use to justify the troubling, exponential rise in the incarceration rates, is composed of 80% marijuana and not the hard, dangerous drugs to which we associate with these frequent arrests. I wonder exactly how it came to be that we accepted a particular stereotype for the drug criminal. Alexander is quick to dispel the common notion of blacks comprising the vast majority of drug dealers by bringing to light the reality of whites as the actual majority in the sale of drugs. Perhaps one of the most intriguing points that Alexander emphasizes is the re-legalization for the discrimination of deemed criminals in various sectors –employment, housing, voting, educational opportunities and exclusion from jury service. She stresses that the elimination of the racial caste in America will only stem from the major social movement. The question this begs is, what are the steps to moving toward the dismantlement of mass incarceration in the US? For the last two decades, one of our nation’s most beloved cities (also known for its “underground economy” characterized by the prevalence of drugs), New York City, has experienced a steady decline in its crime rates. Between 1990 and 2011, the homicide, robbery and burglary rates sharply declined and the city’s decreased its prison and jail rates by 28%, rates incongruent to the increased incarceration rates by 65% of the nation. It is statistically evident that NYC has adopted an alternate solution that is not the immediate incapacitation of individuals. New York City’s new tactics included the appointment of more officers who would map and analyze crime statistics to identify “hot spots” and target them by concentration their patrol and detective units. They shut down many of the open-air markets which mitigated 90% of drug related killings. Many of the factors that are attributed to the prevalence of crime in New York, such as the educational disparities, illegal drug use, single-parent households, are still very much present in the city. However, the city has somehow found feasible strategies that proves beneficial to its residents. As more ethnographers, sociologists and writers expose the “myths of mass incarceration”, it is imperative for our nation to lend an ear and actively push back against the misconceptions presented to us through various outlets. Alexander sheds light on the dehumanizing and racist means of social control that is integral to the criminal justice system in our nation. Her call-for-action is for the awareness of the individual and the intentional eradication of mass incarceration from the nation as a whole.